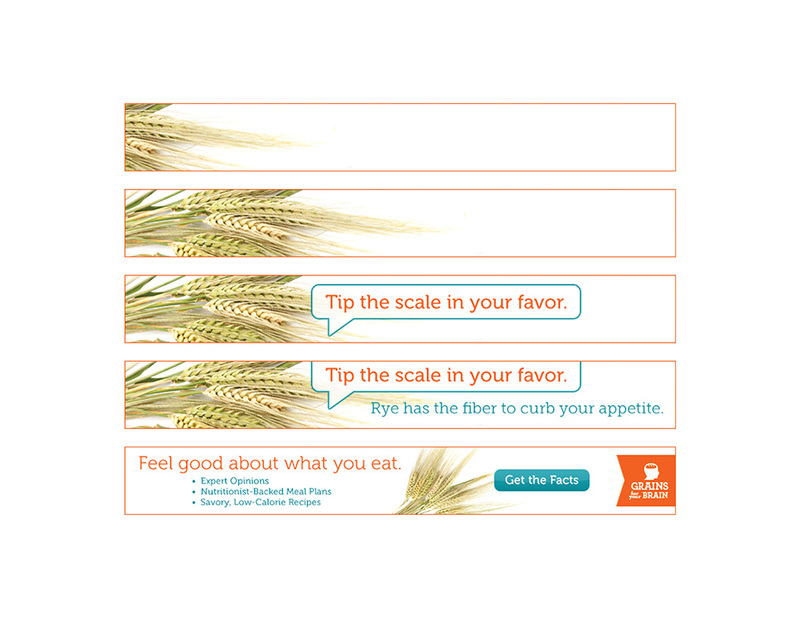 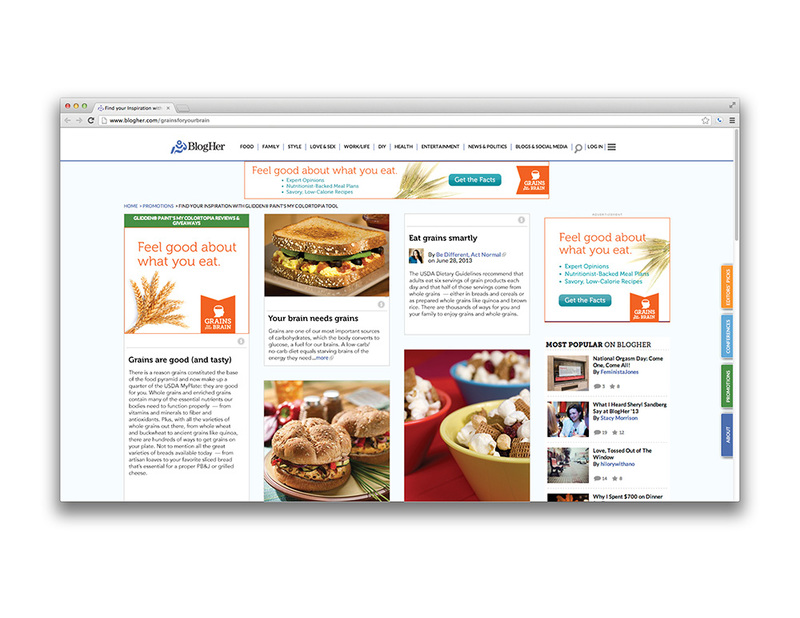 Animated banner campaign directing users to learn the real facts about grains. 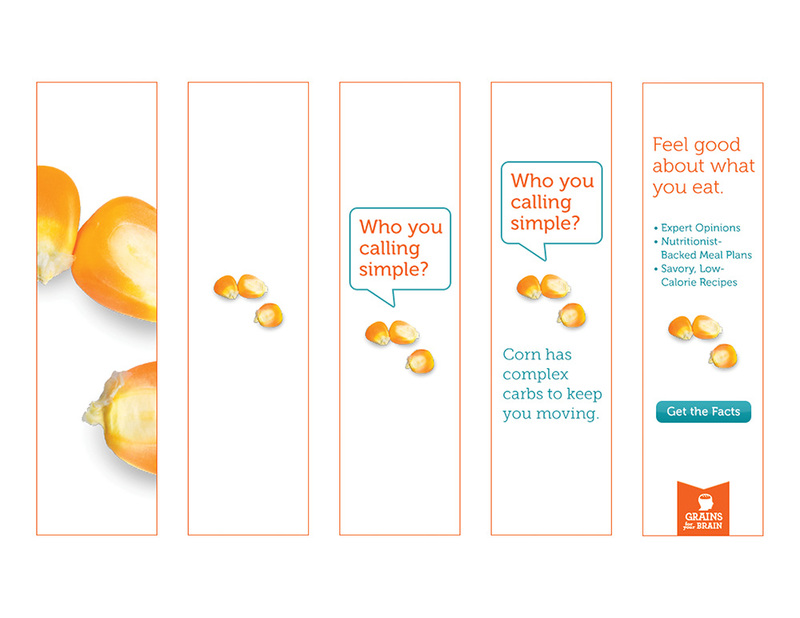 This OLA campaign was created in concert with a new microsite for the Grain Foods Foundation that argued that grains aren’t as terrible as they’re made out to be. 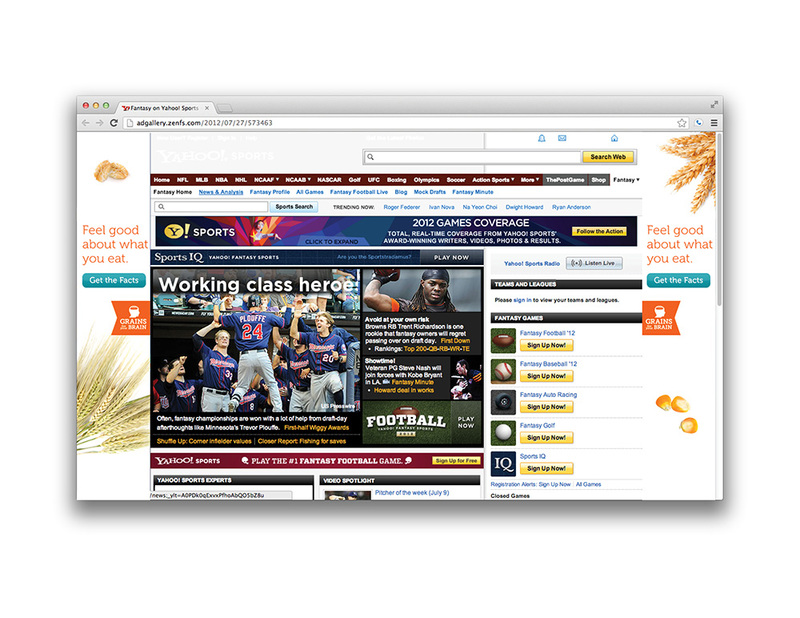 Working with a copywriter, we originated the concept that fundamentally questions why everyone is so afraid of grains — it’s just a little grain! 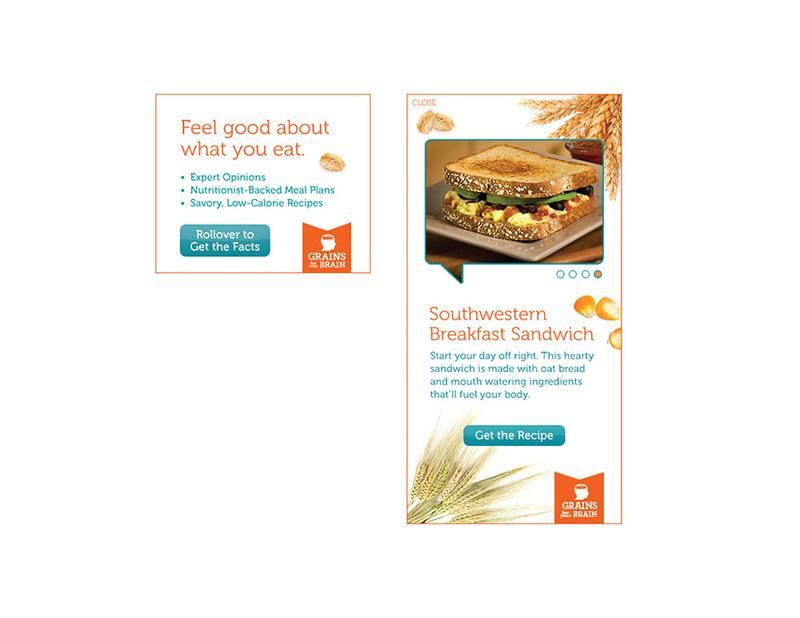 We gave these little grains personalities and drew viewers’ attention to the banners with a simple design aesthetic. 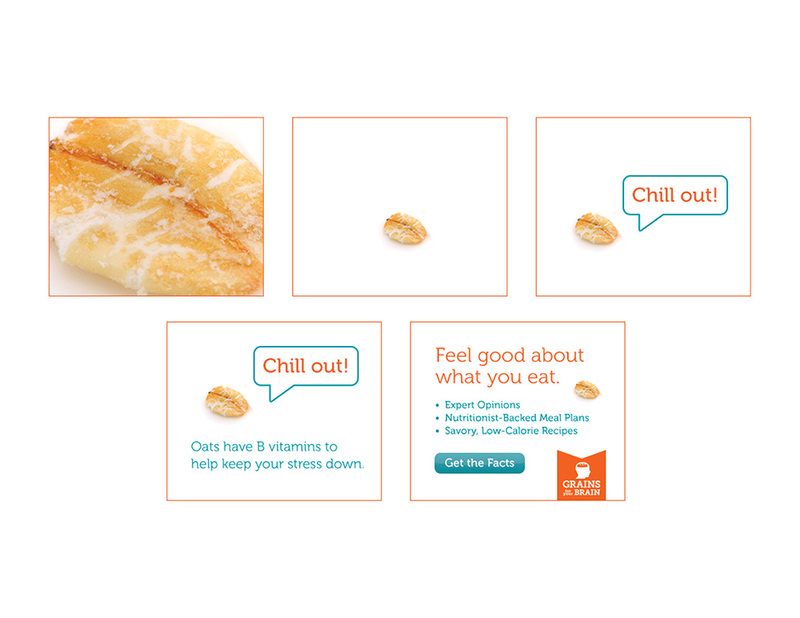 Through light-hearted copy and animation we gave viewers’ a way to let go of the stress associated with eating grain and instead feel good about what they eat.